The National Rail museum is located in Chanakyapuri, New Delhi. The foundation stone of the railway museum was laid on 7 October 1971 by Shri V.V Giri (President of India) and it opened on 1st February 1977 for the general public. The inauguration of the rail museum was done by Shri Kamlapati Tripathi (Rail Minister). Rail museum spread over an area of 10 Acre of land. It consists outdoor gallery and indoor gallery. Museum was renovated in 2014 and the indoor gallery is fully functional after the renovation. It is also known as Chanakyapuri rail museum. National Rail Museum of Delhi has a unique collection of more than 100 real size trains and engines from the beginning of the Indian railways. These actual trains bring back the visitors to the glorious past of the Indian Railways. Here you can learn more about the history of Indian railways. The main attraction of the railway museum is fairy queen, it is the world’s oldest working locomotive engine which was built in 1855. This 160+ years heritage steam engine is the star of the museum. Apart from the fairy queen engine, the other attractions are Patiala State Monorail Trainways, Fire Engine, Saloon of Prince of Wales, Saloon of Maharaja of Indore, Saloon of Maharaja of Mysore, Electric locomotive 4502 Sir Leslie Wilson, Electric locomotive Sir Roger Lumley, Matheran Rail Car No 8899, Cranetank, etc. 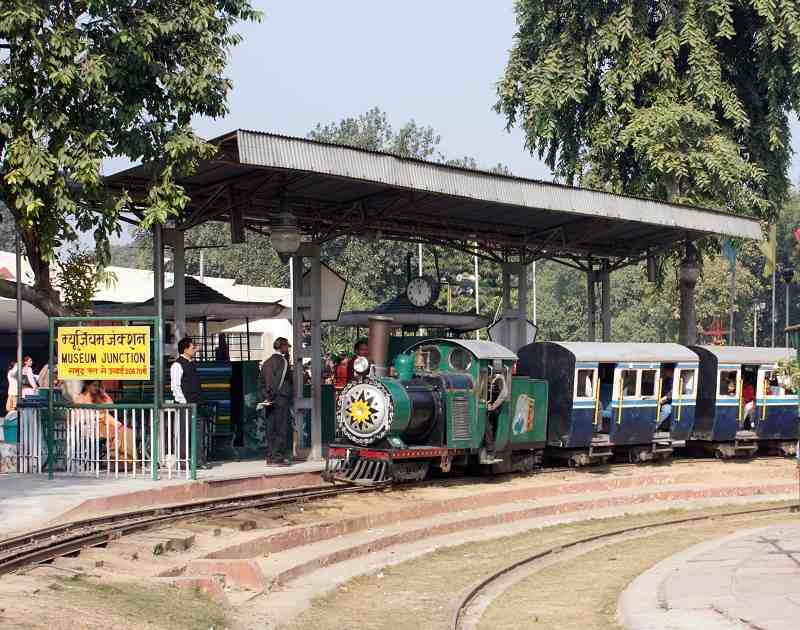 Rail Museum Delhi offers some special facilities along basic facilities such as cafeteria, washrooms, etc. An auditorium with a sitting capacity of 200 people for interacting with students during school visits or to use for Railway lectures. Rails Restaurant is running in the replica of CST terminus building’s Dome. The steam engine rolling on the tracks and serves the food to the visitors. Don’t miss this opportunity. As of 01 October 2017, restaurants and food stalls inside the rail museum are closed due to maintenance. Rail museum can be reached by various modes, Nearest metro station is race course metro station of yellow line, which is 4 KM far from the museum. You can take the DTC bus service which drops you at Chanakyapuri. Also you can book an Auto or App based cab (Uber or Ola) to reach the rail museum. 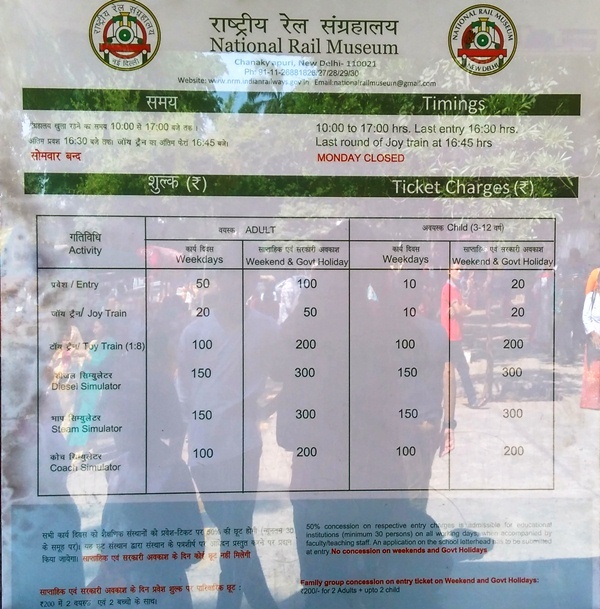 The Railway Museum entry ticket price depends on the days. Weekdays tickets are 50% lower as compared to weekend prices. Adults entry ticket charge for weekday is 50 Rs per head and 3 to 12 year children ticket price is 10 Rs only. On weekends and government holidays adults entry fee is 100 Rs and children entry charge is just 20 rs. Kids under 3 years of age are eligible for free entry. Apart from the entry you can take different rides and activities offered by Railway museum. Joy train is a must try ride. Latest and updated ticket price table is shown below as of 1st October 2017. Railway museum Delhi timings are 10.00 AM to 5 PM and last entry can be availed till 4.30 PM. The museum remains closed on Monday and all national holidays. It also remains closed on the occasion of Holi, Diwali and Idu’l Fitr (Eid). This place is highly recommended to visit along with kids. Children and adults will learn many new things here. 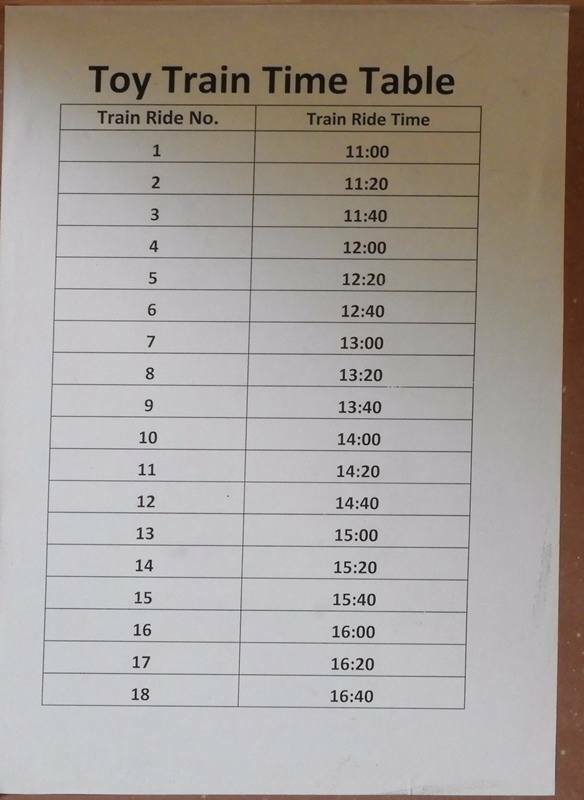 Toy train time table is shown below with train ride counter. Time table picture is clicked on 1st October 2017 and time might be changed in the mean time. Also check amazing video of Rail museum’s Toy Train and Joy Train. Is the Nation Rail museum Delhi is owned by Indian Railway and all the staff are railway staff eve piolot & co pilot of Toy train?